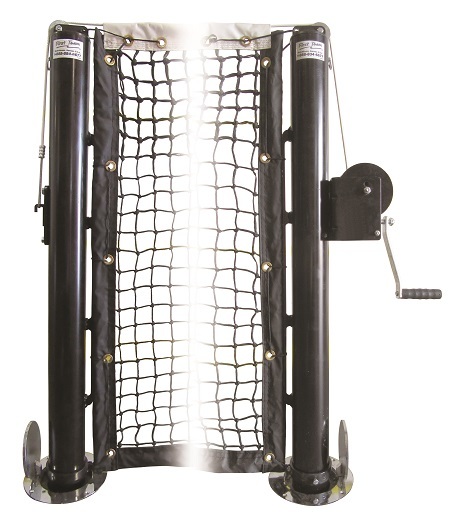 First Team Basketball Hoops from Basketball Hoops Unlimited - SENTRY TENNIS SYSTEM. INDOOR/OUTDOOR. Sentry Competition Indoor/Outdoor Tennis System by First Team, Inc. 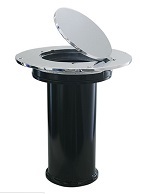 Rugged System Designed For Institutional Use! 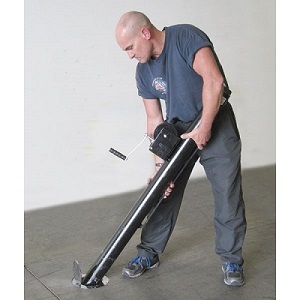 3-1/2" Black Powder Coated Schedule 40 Aluminum Posts for Maximum Rust Resistance. Choose Between PVC or Metal Hinged Ground Sleeves (select above). 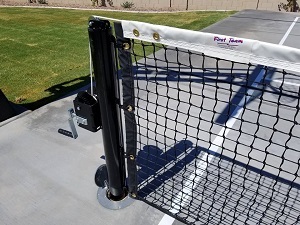 Includes Heavy Duty 42" X 42' Competition Grade Tennis Net with Center Hold Down Strap and Anchor. Pro Grade Worm Gear Net Winch with Quick Detach Handle. Easy to use Winch with Quick Detach Handle. Includes Center Hold Down Strap and Anchor. Shown with Optional Metal Hinged Ground Sleeve. PVC Ground Sleeves are Standard. Need Sales Help or Installation Information? Call our Volleyball Expert toll free at 888-836-2992 7 days a week!